Corner cabinet with fluted columns. Wood or glass doors available. Lower section features panel doors with adjustable shelf behind. Ogee bracket feet. 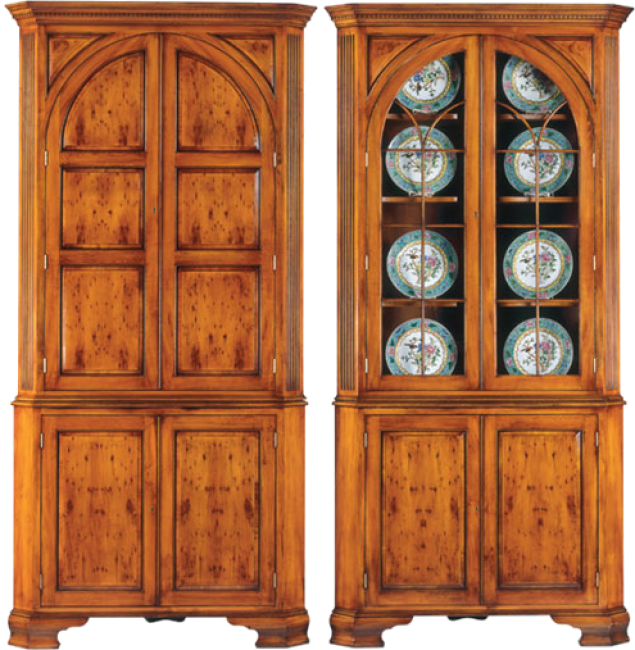 Glass door cabinet available with lights and glass shelf inserts. Pictured in Yewwood.